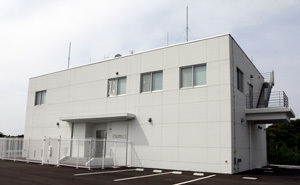 ・The Space Science Archives of the JAXA Uchinoura Space Center will be closed on May 14 for regular cleaning. 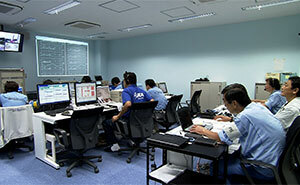 For details, call the JAXA Uchinoura Space Center at +81-50-3362-3111. The Uchinoura Space Center (USC) launches sounding rockets and scientific satellites and also manages tracking and data. The USC was practically built by efficiently arranging facilities on a plateau artificially prepared by reducing the hillside as the center lies on hilly land. In that sense, it is very unique, unlike any other space center in the world. The main tasks of JAXA employees there is to administer the center, engage in clerical work and maintain facilities, but another important mission for them is to guide visitors with thorough explanations to deepen their understanding of space. 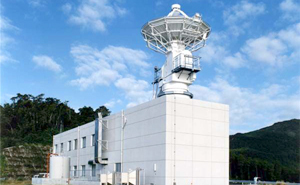 When receiving radio frequencies from satellites, or launching sounding rockets and scientific satellites, the necessary personnel and engineers are dispatched from the ISAS Sagamihara Campus and private companies. 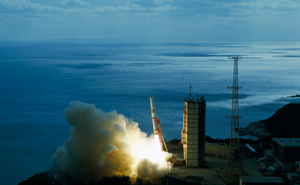 Under such an advanced organizational system, we have launched over 400 small and large launch vehicles and about 30 satellites and explorers including Japan’s first satellite, the “OHSUMI”, since the center’s establishment in 1962 to significantly contribute to space science research. 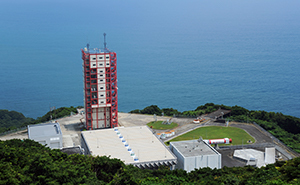 Facilities necessary for conducting launches of M-series launch vehicles including the launch pad, the assembly building, and cleanrooms for satellite operations. These antennas sit on the highest elevation at Uchinoura Space Center (USC). 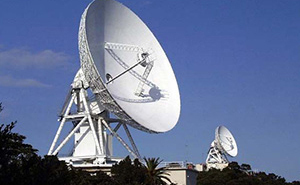 They track and receive telemetry (S band and X band) from scientific satellites. KS Center has the launch pad for the S-520, S-310, and MT-135 sounding rockets. 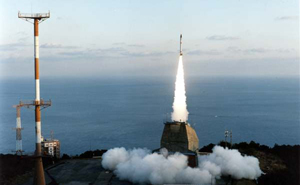 The first Japanese satellite, "OSUMI," was launched here in 1970. Exterior view of Epsilon control center. A mission control room in charge of overseeing the launch operation process till launch. 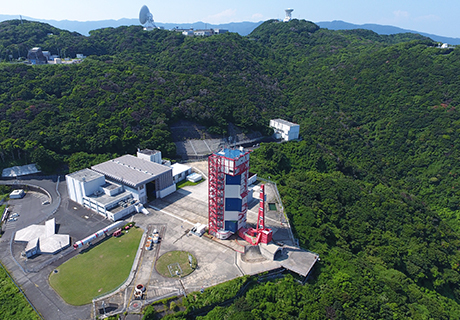 The Uchinoura Space Center has launched over 390 rockets since 1962, as well as about 30 satellites and probes since Japan's first satellite, "Osumi," was launched in 1970. There is a Space Science Reference Center on site for education about scientific satellites and the history of rockets. No parking lot is available in the center but a public parking lot (free of charge) is nearby the center. Wheel chairs and baby strollers are allowed to enter the center but not in the buildings. 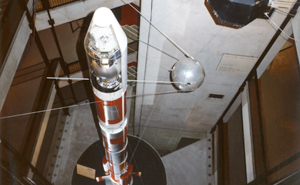 Models of rockets and satellites, scientific instruments, and the Pad Service Tower of the Mu rocket are on display. On the experiment site, only the exterior of the facilities can be viewed. The antennas and the launcher for the Mu rocket can be seen.